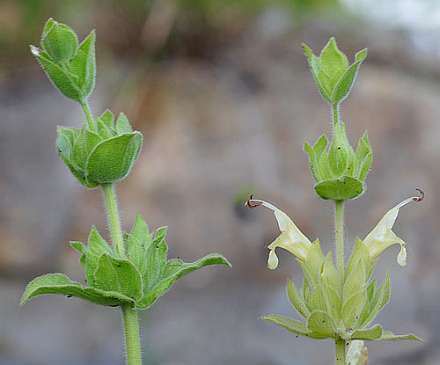 This aromatic perennial grows wild along the coast from Orange County to San Francisco, where it thrives on exposed north-facing slopes and in the dry duff under oaks. 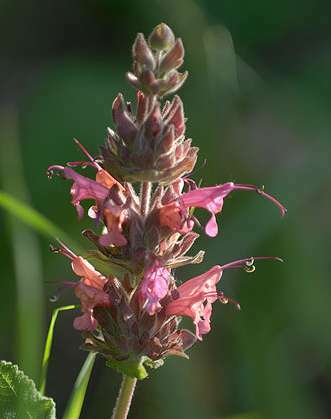 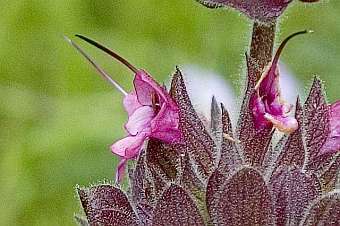 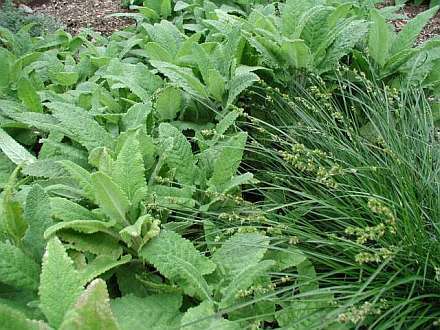 Creeps from a rhizome, sends up arrow-shaped leaves with the most delicious fragrance of any sage and robust pink blossoms that attract hummingbirds. 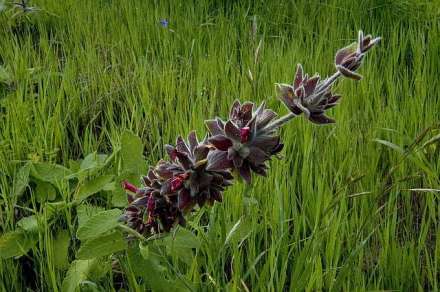 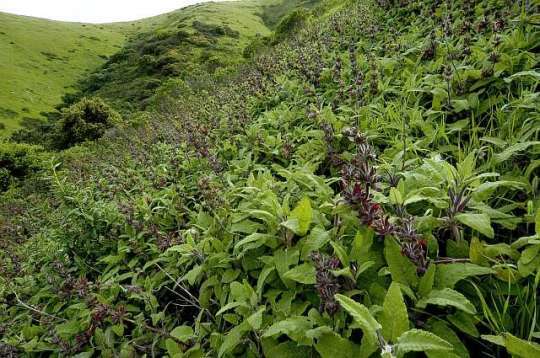 See the star appearance of Salvia spathacea in Coffey's story on Bernal Hill. 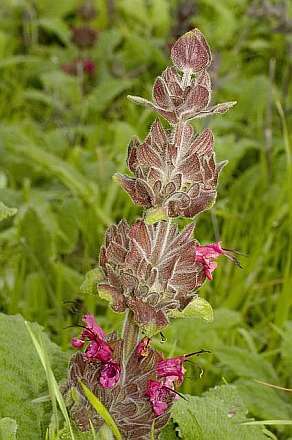 We grow a yellow-flowering form too.